I’ve been really lax over putting these pix up but I had a great weekend at the Festival of Romance in Bedford 8-10 November. It began with me joining Nick Coffer on an outside broadcast for BBC 3 Counties Radio in a coffee shop, The Kiln, to represent the Festival and talk about how to plot a romantic novel. The slot was enlivened by the feed being lost three times so that a few hundred thousand people were left listening to ‘dead air’ and someone in the studio had to hurriedly play music while the link was re-established. I don’t know about Nick but I wasn’t stressed by the experience – every time he put the mic in front of me I talked, and left the techie stuff to others. And I’ve thought of a way I can use the experience in a book, and also in a workshop, so it served me well. Also, I got some cake. I don’t think it could have been chocolate or I would have remembered. 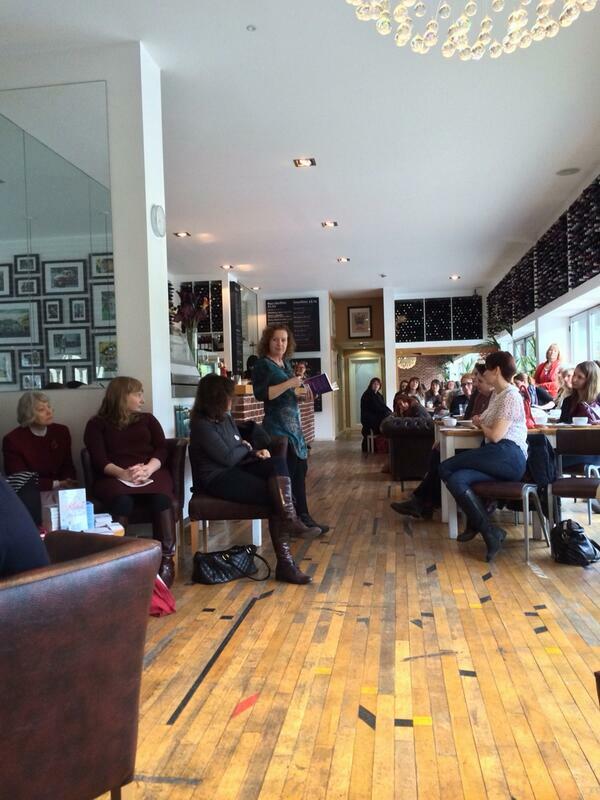 Speaking of cake, my author event was at the Coffee & Cake morning on Saturday. Yes, more cake. You’re beginning to see a theme here …? There were so many great excerpts read from the authors present that I downloaded three books when I got back to my hotel. The rain was putting a dampner on things outside but in the cafe we were warm, toasty and entertained. And the cake was chocolate. 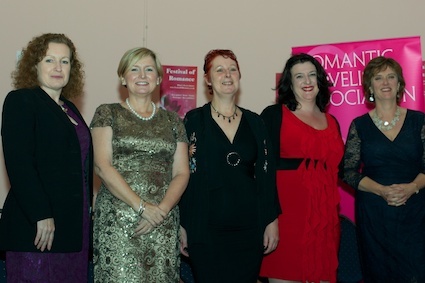 In the evening, it was a pleasure to meet so many of the New Talent shortlisted authors, as the event was sponsored by the Romantic Novelists’ Association and so I was invited to the reception. Then it was onto the Ball for the Awards. The Harpur Suite of the Bedford Corn Exchange is a gorgeous venue, and the evening was suitably glitzy, with a lot of awards to be handed out. You’ll be pleased to know there was chocolate cake for dessert. 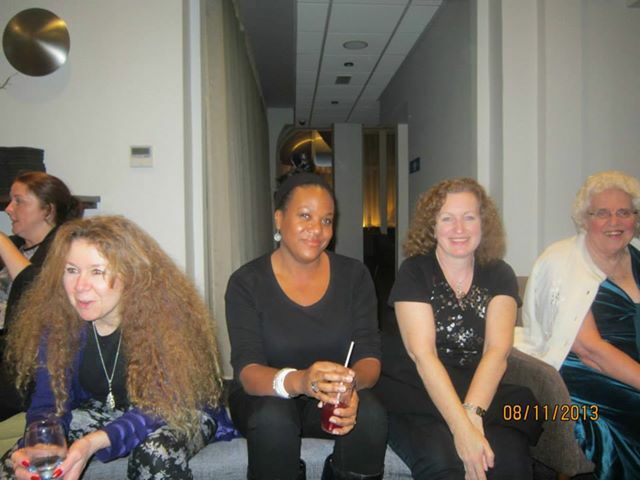 Christina Courtenay, Caroline Bell Foster, Me, Rosemary. Thanks to John Jackson for the pic. And here’s a lovely ‘off-duty’ pic from the bar. Roll on Festival of Romance 2014. I was going to say that a publication day is like Christmas and my birthday all rolled into one – but, actually, it’s more fun. Publication Day is Publication Day, even though the ebook came out a month ago and the online bookstores shipped the paperback copies last weekend. Mere details! Publication Day is the marker, the day I pause in my usual work to enjoy the moment. It’s also a good excuse for a bit of hoopla. 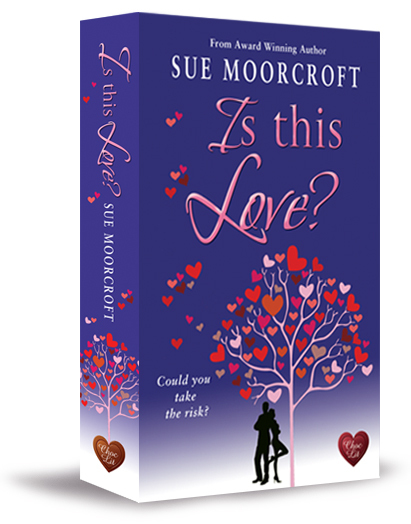 Happily for me, Publication Day more-or-less coincides with the Festival of Romance, which begins tomorrow, in Bedford, so I have an interview on the Nick Coffer show on BBC 3 Counties Radio at 12.30 and a booksigning at Waterstones 1.30pm till 3.00pm tomorrow (Friday 8th November). Then I can relax and watch other authors do their stuff at the ART AND ROMANCE EVENING, The Higgins Museum & Art Gallery. Saturday is a chance to be in two places at one time as 10am to 3pm sees the ROMANCE FAIR at the Harpur Suite, Corn Exchange, but I’m appearing and reading 10.30am to 12noon at the COFFEE AND CAKE MORNING at The Lane … and 12.45pm to 3.45pm myself and Christina Courtenay are leading the IRRESISTIBLE HEROES WORKSHOP at the Central Library. 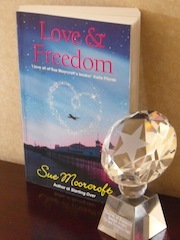 Other Choc Lit authors Jane Lovering and Laura James are being so kind as to sell my books at the Romance Fair. Of course, they’re busy with their own events so Jane’s partner has kindly volunteered to take over. I’m not sure if he knows this yet. Don’t anybody expect any real work from me until Monday! Because today is Publication Day and I’m managing to make it stretch over the weekend. 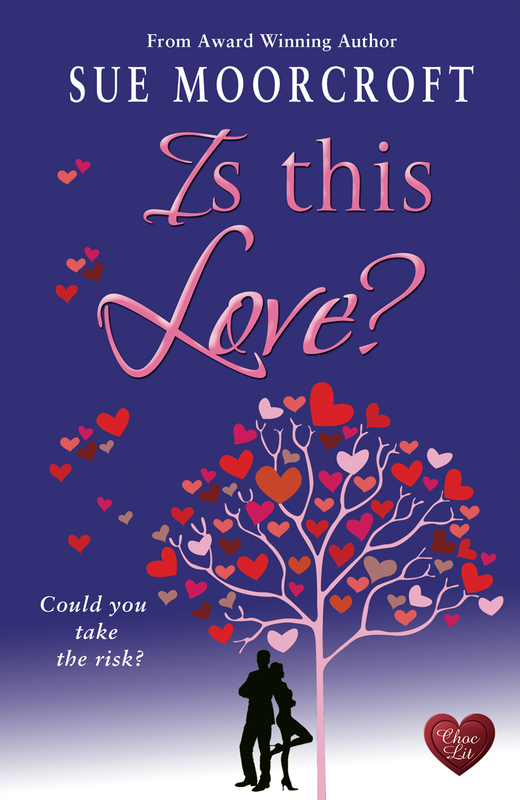 Even Amazon is celebrating with me – ‘Is This Love?’ is available at a special price for Kindle users because it’s part of the 100 Kindle Books promo. – Meet the Authors Rock Star Party – authors Jane Lovering, Sue Moorcroft, Katherine Garbera, Fiona Harper, Mandy Baggot, Lucy Felthouse, Berni Stevens, Nicky Wells, Natalie Nicole Bates, Emma Calin, Sarah Tranter and Oscar Sparrow. – Pitch Your Novel – for a chance to pitch your novel live to publishers!